Korean based in Tokyo. Love analog stuffs, especially made in Japan. In Japan, "Work-Life Balance" is a kind of trend, and many people seem to want to enjoy their lives slowly. Even if having a cup of coffee at home, they want to drink it in a mood. Many people wish they could have a beautiful bedroom with an awesome atmosphere of their own cozy "home" even if they just use the bedroom for sleeping. 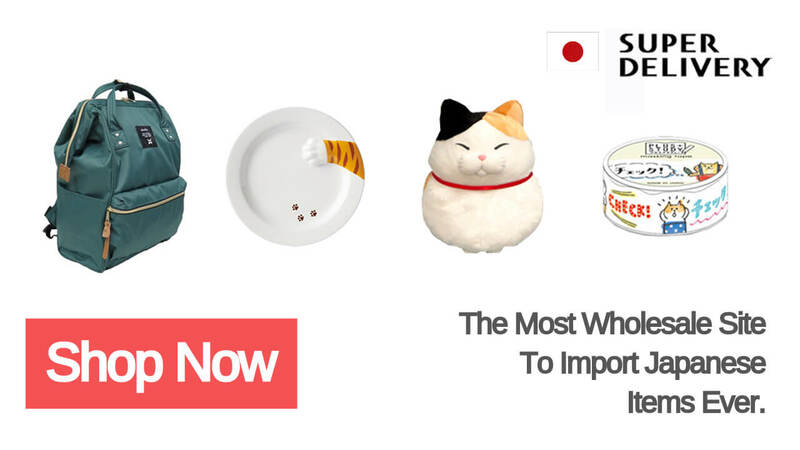 Maybe that's why "home-cafe" and "home-training" have been so popular. 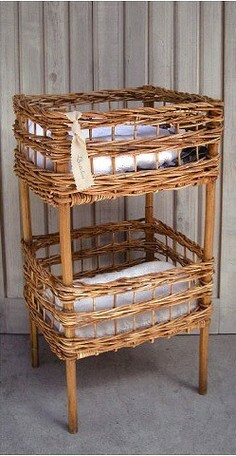 Today, I'd like to introduce some Rattan products that you must check out for your own cozy home with natural interior. These are Alarog products by Creer, and I picked five popular products in SUPER DELIVERY. This product is a handmade wooden mirror. It's a kind of Ratan, but it's a little bit more rugged and rough than the common rattan one. 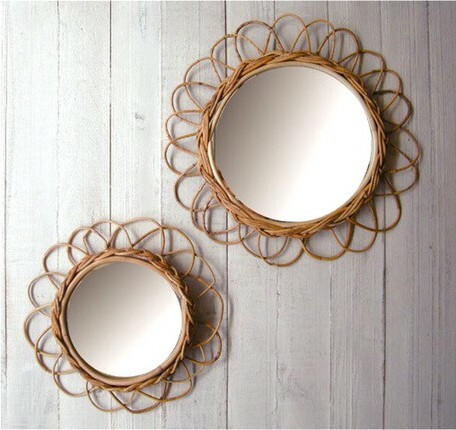 It is a cute sunflower-shaped mirror and also has a hanger loop. It has two sizes: S size (diameter 25cm) and L size (diameter 33cm). You can hang it on the wall and put it on the floor. As it is popular in Japan, it has been sold out many times. So please check the product before it is out of stock. It's Alarog's, too. 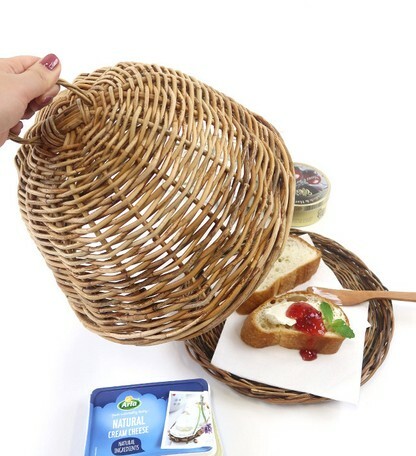 It's a basket-shaped food cover made of thick rattan. Just putting it in the kitchen will make your kitchen luxurious. The black spots on the products and color difference are Alarog's signature, so this product is the only products in the world thanks to the handmade products. It's a basket that you can put some fruits, bread, and flowers. There are two sizes available: S size (diameter 35cm x height 14cm ) and SS size (diameter 27cm x height 10cm). Alarog's product looks rough, but it's also rugged. I think it would be cool if you put it on a pretty cloth, and with doing nothing it's just a pretty product itself. For Japanese Natural Interior, you must get some green plants. How about Haning plants? The plants hung in the air are called hanging plants. It would be good to hang them around the desk, in the front door, in the living room or anywhere. 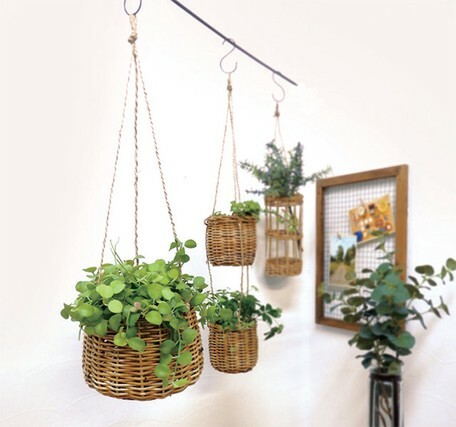 Type A and type B are woven closely so that the flowerpot is not easily visible. You can use them for putting small items or root vegetables. Type C and type D are not so dense, so a flowerpot in it is visible. You can make it with various colors of flower pots. It's an Alarog 2 Step Basket. You can save some stuff enough, and it has its own warm feeling from the natural material. It could be used for storage of bathroom towels, children's toys, magazines, and books, or for various purposes. This is also made with a different pattern of rattan. So your one will be the only one in the world. 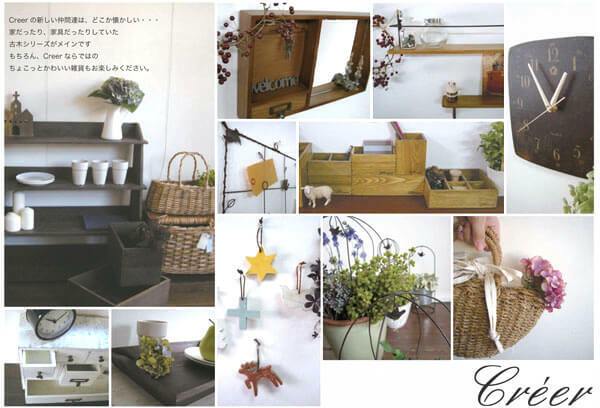 Wooden products have a strong impression that they feel cool, so it's summer's items. 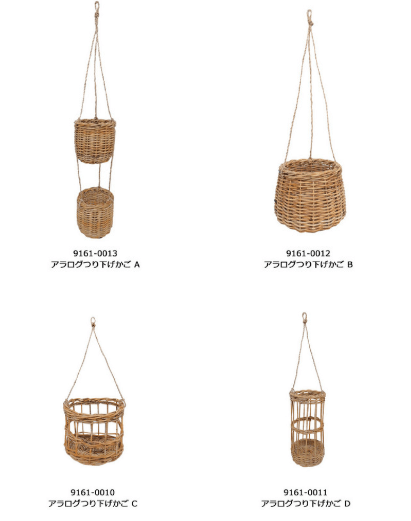 However, if you look out the Japanese natural interiors, you will figure out that wooden products have continued to be popular not only in summer but also in autumn and winter. 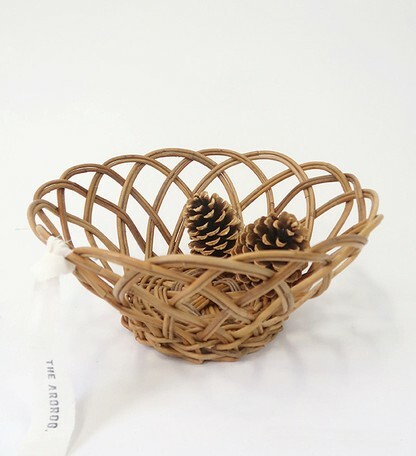 Other than Alarog products, there are plenty of Japanese natural interior items from creer, so check out SUPER DELIVERY website.